I have a form where the text on the button is at the bottom of the button and half cut off when the form is viewed on mobile. Anyway to fix this? 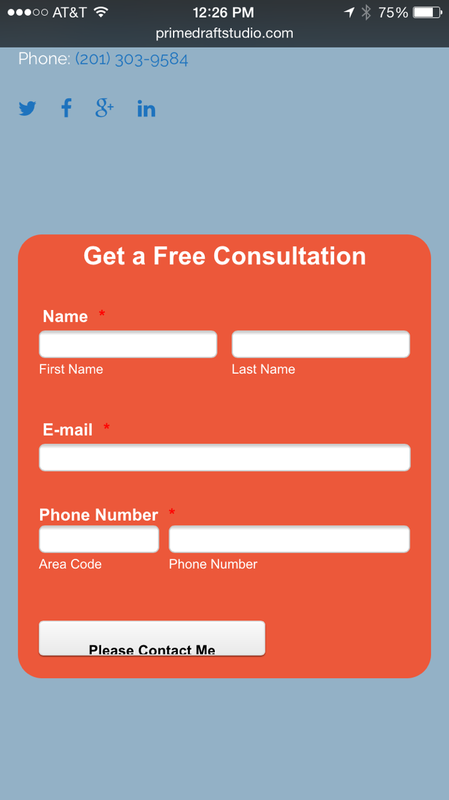 You must set the form as Mobile responsive. Please go to Preferences and make sure you have enabled the Responsive option. 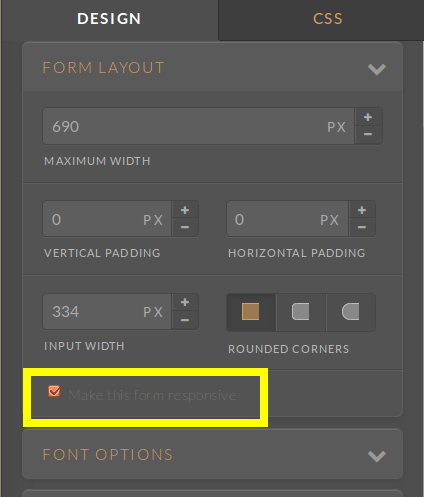 You can also use Designer tool > Form Layout > Make this form responsive. If you already have done this, can you please clarify if the form is already embedded in a website? If so, please share the link. Otherwise please refer the type of smart phone you are having problems with or if this is a general problem while being viewed on mobile. Did select responsive on preferences and in the form designer. 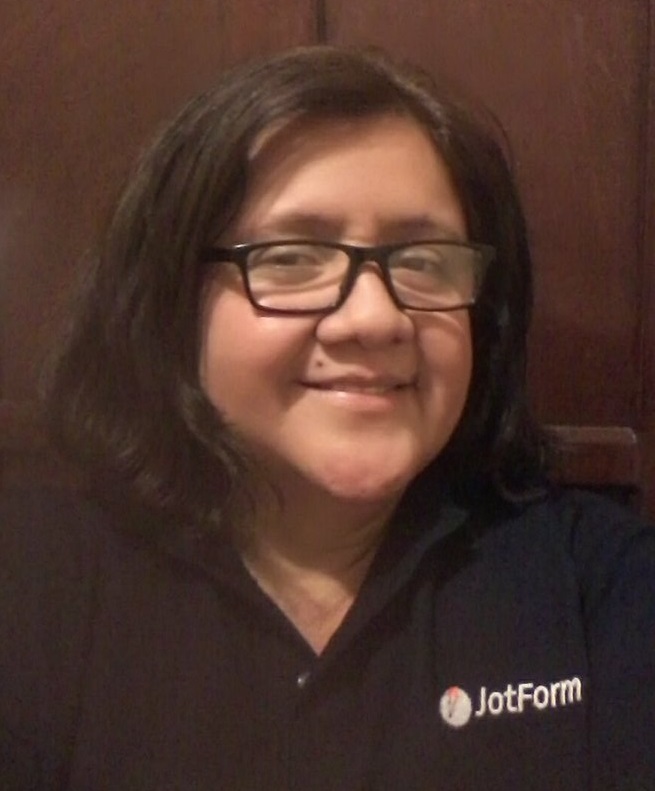 It is embedded in the website http://primedraftstudio.com. You'll find it in the footer of the site. I'm looking at it on an iPhone 6. Someone else saw the same thing on an android phone. Let us do some testing and we will get back to you later on. 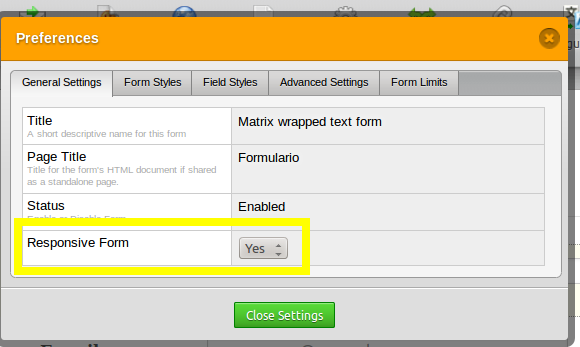 You can also change the padding do it on the Form Designer, on the submit button section.